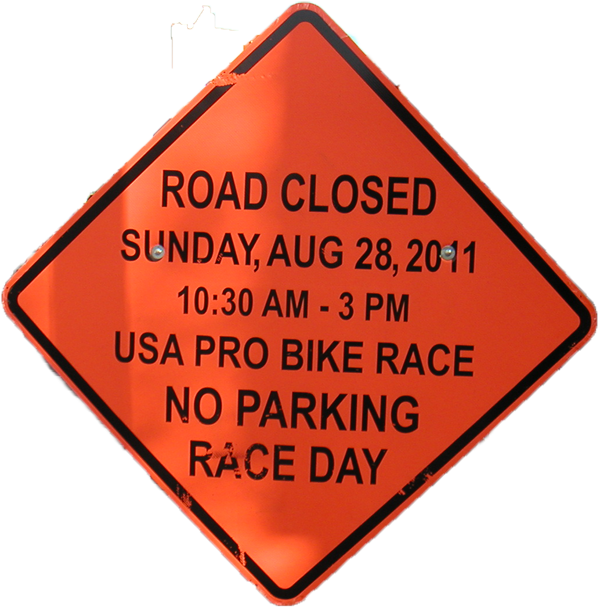 A great week of professional bike racing. 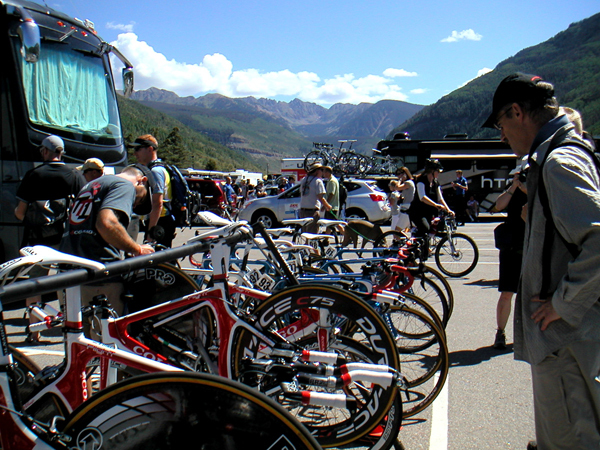 Gorgeous scenery to rival any race anywhere. 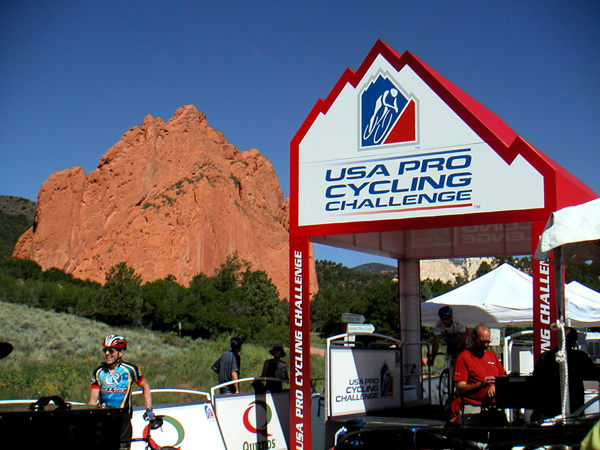 We headed south to meet the racers on Monday for the 5 mile Time Trial that started in Garden of the Gods. 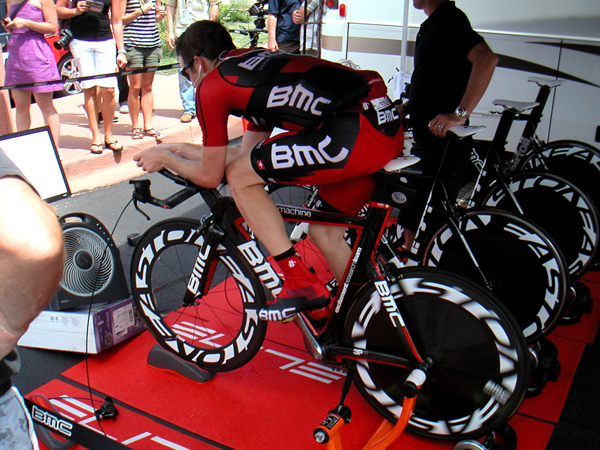 Just a great day for hanging out with some world class competitors. 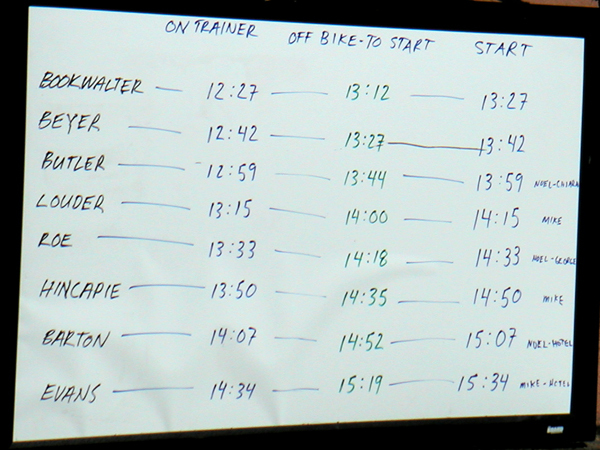 Let the Racing begin HERE! 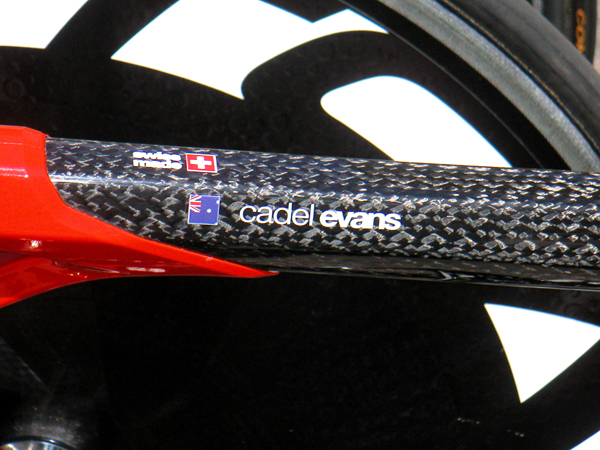 Detail of Cadel's bike...look at all that carbon! 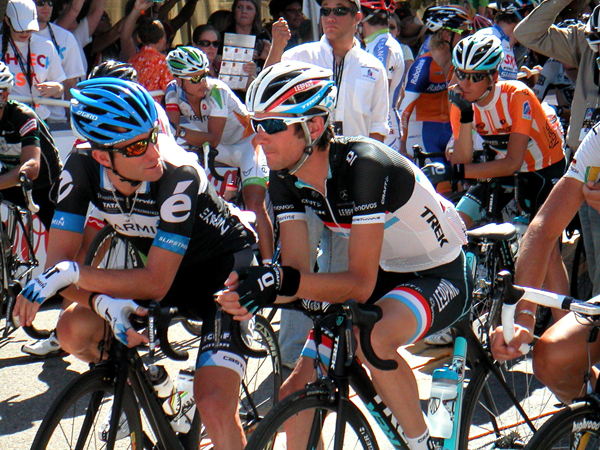 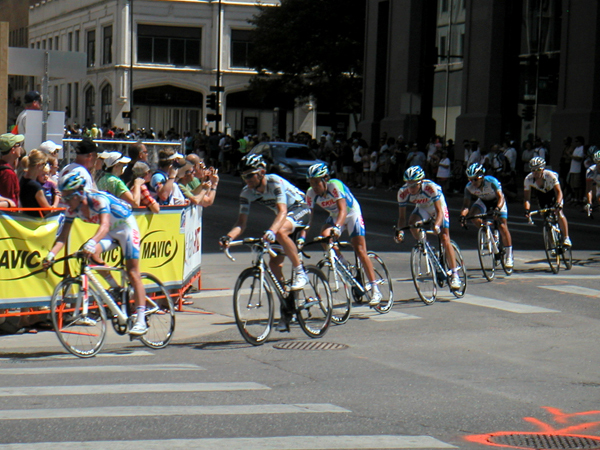 The Team Radio Shack rider on the left is wearing an ice vest to keep his body cool. 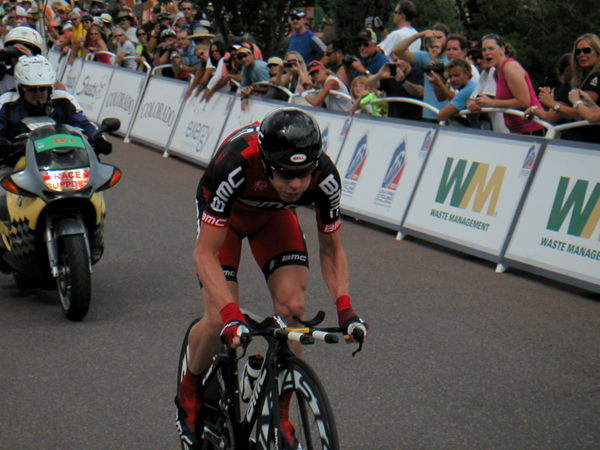 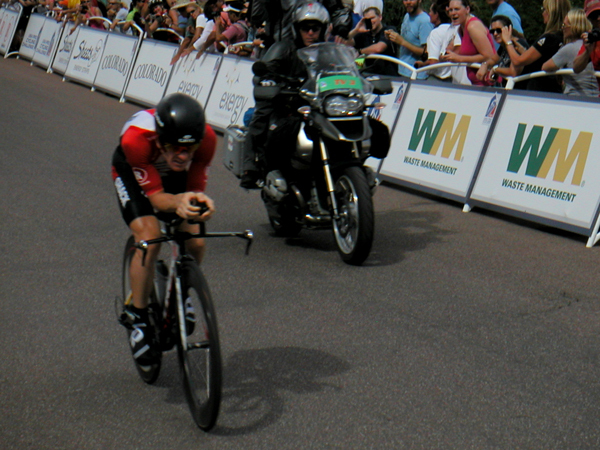 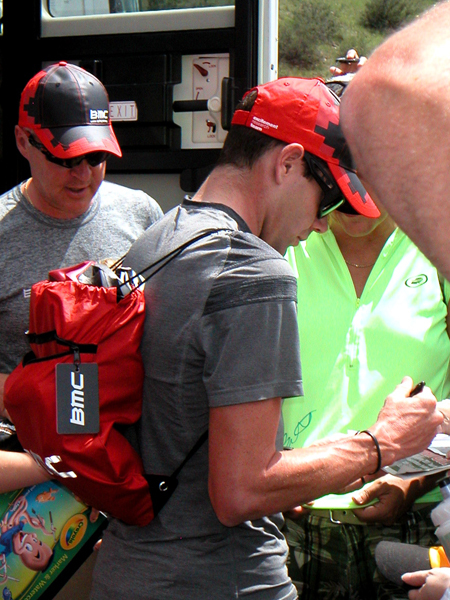 Cadel Evans, at #1, is the last to start the TT race. 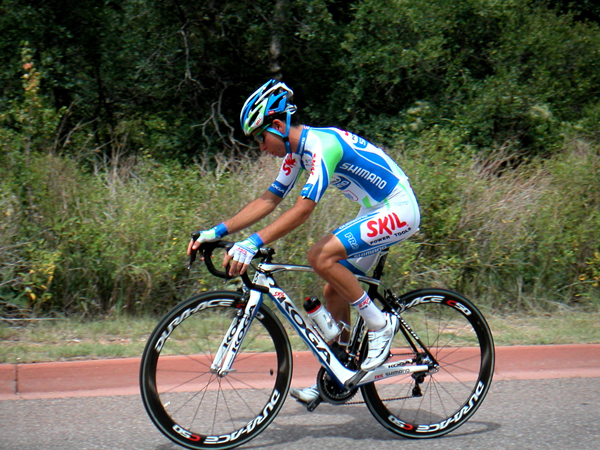 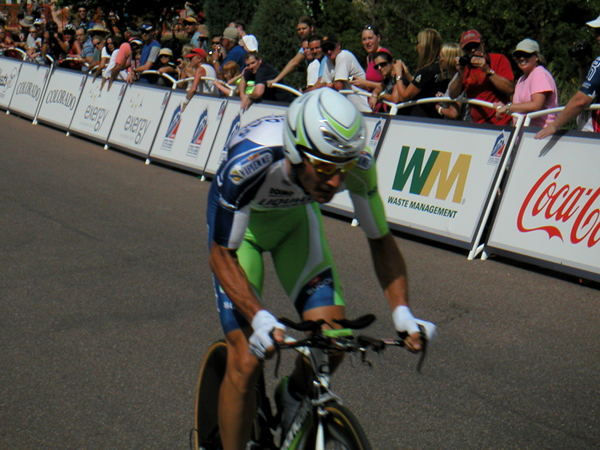 But the Time Trial ends with Patrick Gretsch taking the yellow jersey at the finish line. 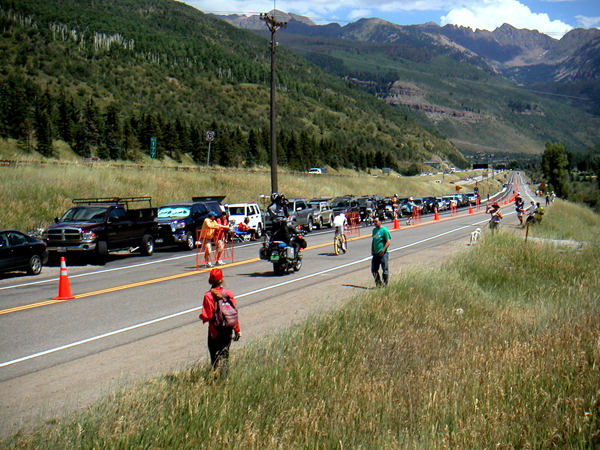 For the second Time Trial, our neighbors Motor in the Mini with us on Thursday to Vail. 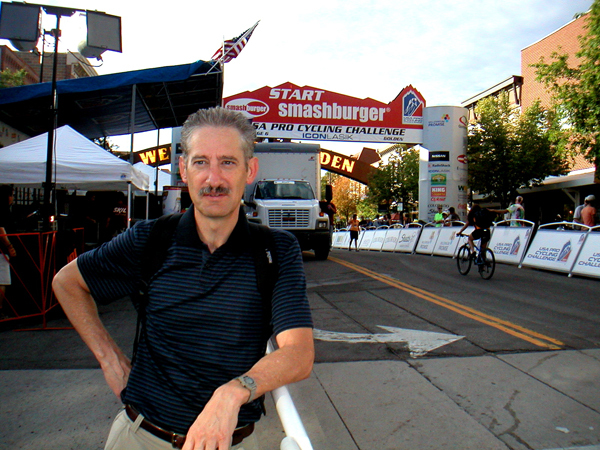 The tour has been going on for two days: First day from Salida to Mt. 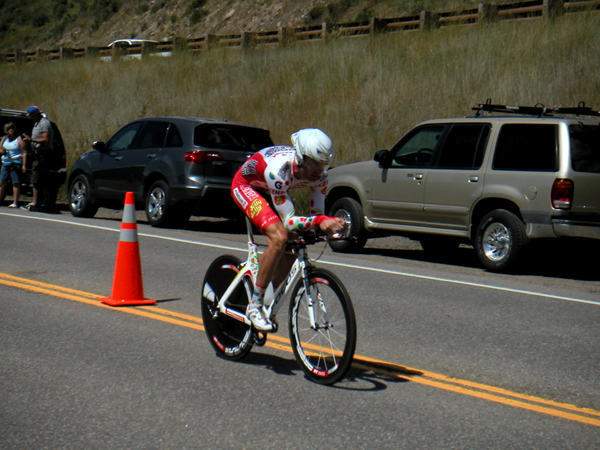 Crested Butte then on to Aspen over both Cottonwood and Independence passes for the second day. 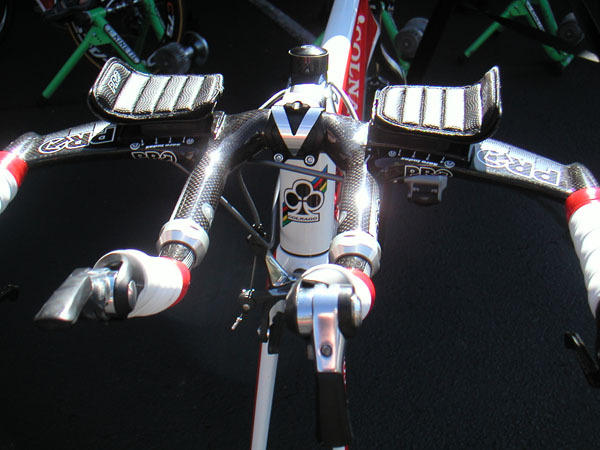 The beauty is in the details - what a racing machine! 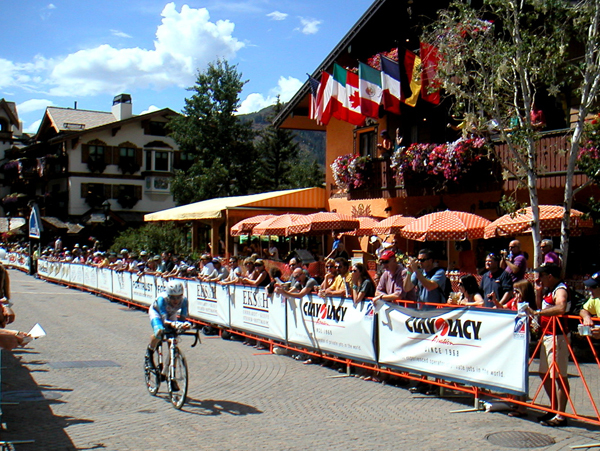 The day in Vail finishes with German beer at Sonnenalp and toasting Levi, who has not only regained the yellow jersey but set a new record for the course. 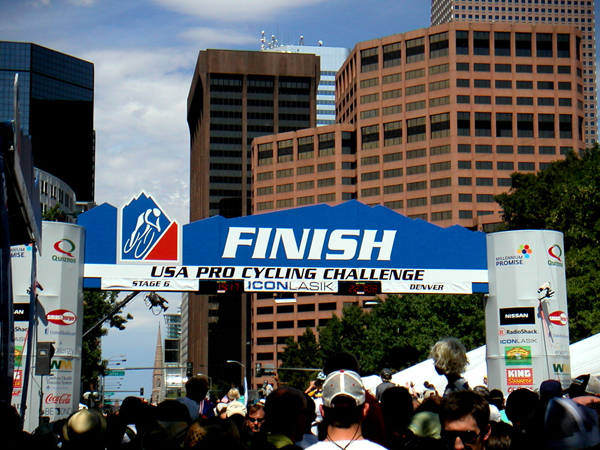 Two more days of racing later: Avon to Steamboat Springs and then Steamboat to Breckenridge, we come to the end of the week, Stage 6, and literally the race to the finish line. 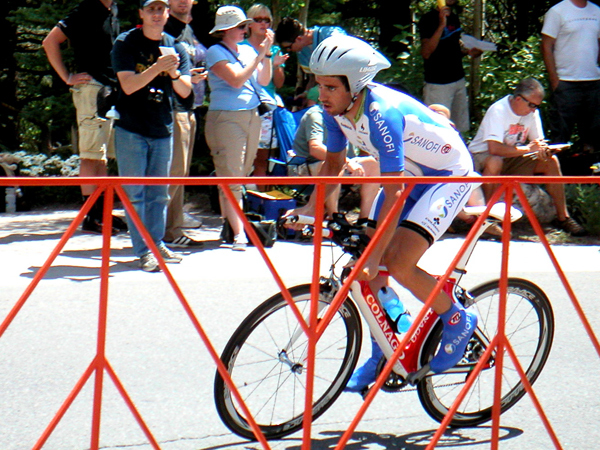 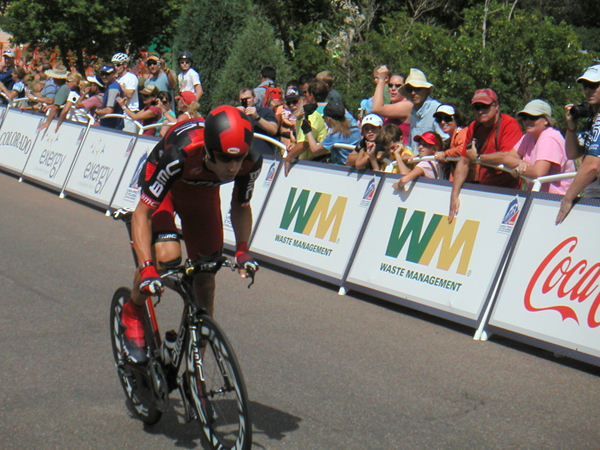 73 miles from Golden to Denver, with a detour up and over Lookout Mountain, the last King of the Mountain stage. 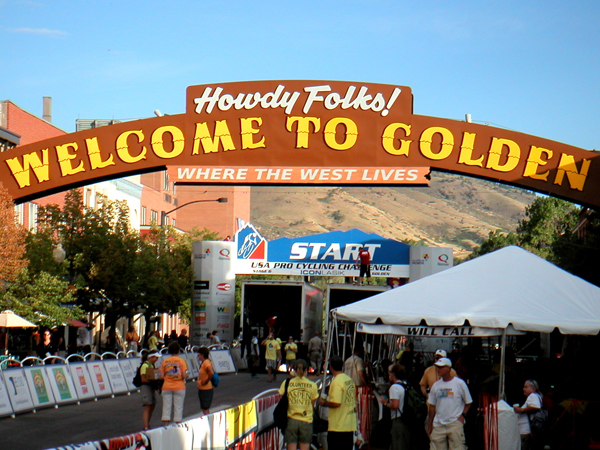 We arrive at the start line at 7:30 to get a good viewing point (as well as parking spot). 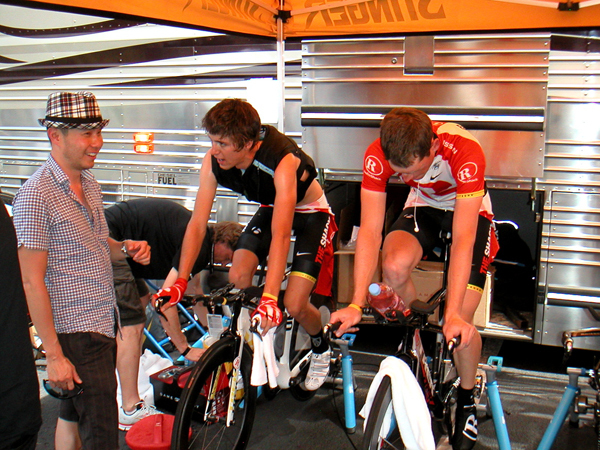 Thanks to all the riders for a great week of racing! 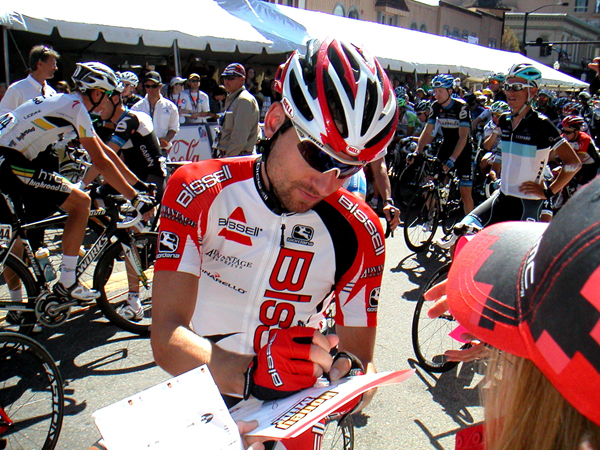 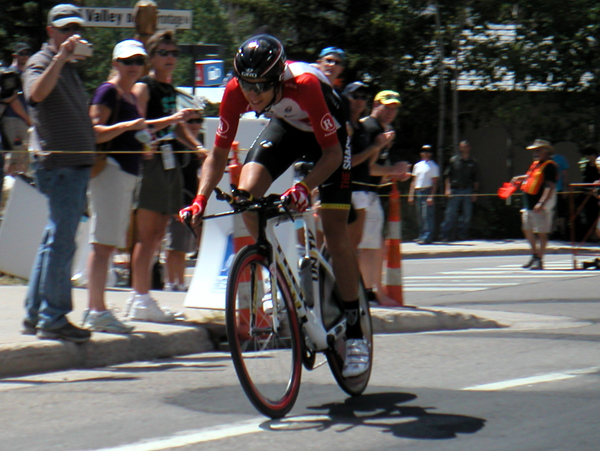 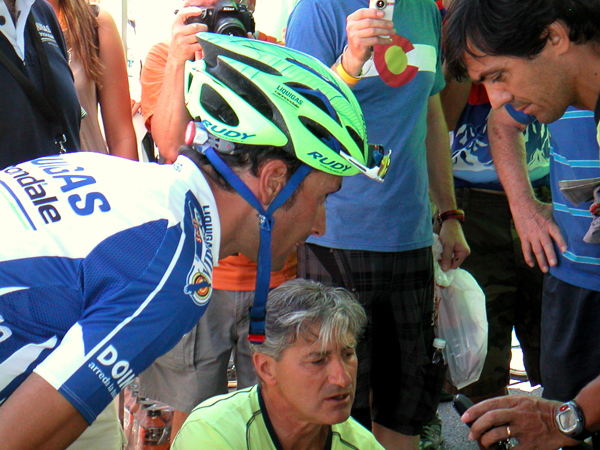 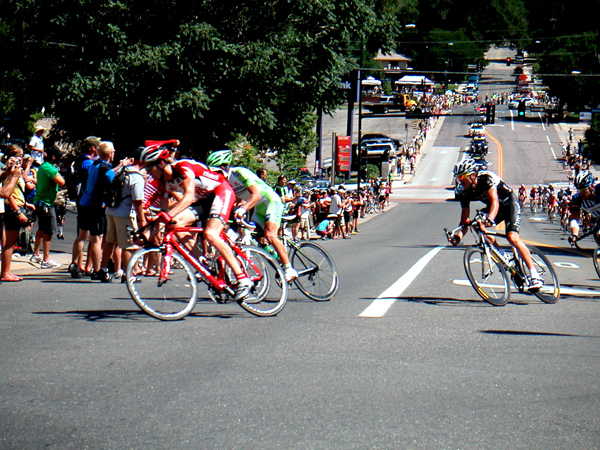 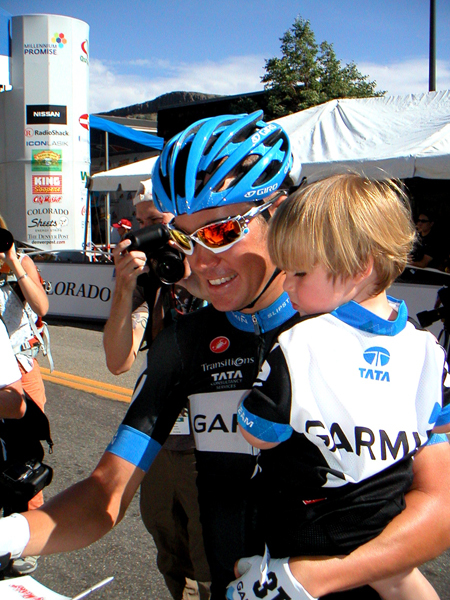 Great coverage of the Tour de Colorado … See you next year at the start line!